Queen Elizabeth II didn't appear in court Friday, but she ended up being the surprise star witness for the defense at the trial of Princess Diana's former butler. 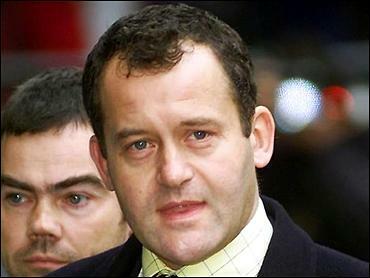 In an extraordinary development in a case that had fascinated Britain, prosecutors dropped theft charges against Paul Burrell after the monarch revealed he had told her five years ago that he'd taken some of Diana's papers for safekeeping after her death. Buckingham Palace said Elizabeth had realized only recently that her private conversation with Burrell shortly after Diana died in a Paris car crash might be relevant to his case. Skeptics say the monarch may have acted to prevent her relatives from having to testify, or the defendant from embarrassing the royal family if he took the stand. "The prosecution has concluded that the current trial is no longer viable because it has proceeded on a false premise that Mr. Burrell had never told anyone that he was holding anything for safekeeping," prosecutor William Boyce said in court. "The only appropriate course is to offer no further evidence against Mr. Burrell and to invite the court to direct that verdicts of 'not guilty' should be entered in this case," Boyce said. Judge Anne Rafferty discharged the jury, declared Burrell innocent and told him he was free to go. Burrell — whom Diana had called "my rock" — sobbed and hugged his lawyer. The moves brought a dramatic and unexpected end to a case that had put details about Diana's personal life back on public display. "The queen has come through for me," Burrell said as he left the court. "I'm thrilled. I'm so thrilled." Burrell, 44, had pleaded innocent to three charges relating to the theft of more than 300 items from the princess and other members of the royal family. The property allegedly included letters, photos, and compact discs owned by Diana, Prince Charles and their son Prince William. The thefts allegedly occurred between Jan. 1, 1997, and June 30, 1998. Diana died on Aug. 31, 1997. Burrell has said the princess gave him some of the items for safekeeping and he took others after her death for the same reason. Although the case has been making headlines for close to two years, Buckingham Palace said the queen had realized only a week ago that her private talk with Burrell might have been significant. Boyce said that on Oct. 25 Elizabeth told her husband, Prince Philip, and her son, Charles, that Burrell had mentioned to her that he had taken some of Diana's papers for safekeeping. Press reports said the conversation took place in a royal limousine as the family was driven to a memorial service at St. Paul's Cathedral for the victims of the Bali bombings. Charles believed the meeting was relevant to the Burrell trial and word of it was given to prosecutors Monday, Boyce said. Rafferty halted proceedings without explanation Tuesday and ordered the jury to go home. The queen was on a 12-day trip to Canada during the early part of the trial, a palace spokeswoman said. "It was only when she saw media reports of the trial that she felt that her meetings five years ago with Mr. Burrell might be of some relevance," a Buckingham Palace spokeswoman said on condition of anonymity. The palace and Boyce said prosecutors had not briefed the queen about the case ahead of the trial and neither prosecutors nor police had asked her about her meeting with Burrell. The former butler had mentioned in a written submission on his case that he had had a private meeting with Elizabeth but did not say he told her he was holding any property, the prosecutor said. Burrell's lawyer, Andrew Shaw, suggested that loyalty to the royal family had prevented their one-time butler from disclosing details of his talk with the queen. "It is to his utmost credit, and typical of the man, that it was only this week that he instructed his lawyers as to the full terms of the conversation," Shaw said. "Mr. Burrell remains deeply loyal to the late Diana, Princess of Wales, and to the queen." Shaw accused police of conducting a shoddy investigation and said prosecutors had never taken Burrell's close friendship with Diana into account. Labor Party lawmaker Paul Flynn said the official account of the case's collapse was implausible, suggesting the royal family wanted to stop Burrell from possibly revealing embarrassing details of life inside the palaces when he took the witness stand. "The most likely reason is that when Paul Burrell came to give evidence he was going to provide extremely damaging new information" about the royals, Flynn said. Diana's relationship with her mother-in-law, the queen, was famously tense. Harold Brooks-Baker, publishing director of Burke's Peerage, said the consequences for the monarchy could have been serious if a member of the royal family had been called to testify. "It would degrade the monarchy, which is supposed to be above the whole of this," he said. The former butler was arrested on suspicion of theft after police allegedly found dozens of Diana's personal items at his home in northwest England. Prosecution witnesses, including Diana's mother and sisters, testified that Burrell had no legal reason for keeping her personal photographs and letters. The prosecution alleged that in the days after Diana's death, Burrell entered her Kensington Palace home and removed personal items, including dresses. Burrell has said he feared that there was a conspiracy to undermine her legacy.